July 2013 | Matcor, Inc. The Washington State natural gas transmission pipelines and safety landscape received a big announcement this week. Multiple sections of pipeline in Washington will be expanded, according to federal filings by Northwest Williams Pipeline. The current gas transmission pipelines are 30 inches. The proposed expansion will place 36 inch pipeline next to the old 30 inch pipeline. The construction, expected in early 2017, will also create continuity between existing 36 inch pipeline. The pipeline expansion is a perquisite for a new liquefied natural gas (LNG) export station in Astoria. The project will encompass a wide range of work, including natural gas pipeline safety and protection. In total, the pipeline project will span 140 miles from the Oregon state and Canadian national borders. The Oregon Pipeline Company will connect the southern expansion into Oregon through an installation underground the Columbia River. The finished product is LNG that will be shipped to Asia from the Astoria natural gas terminal. Northwest Williams Pipeline estimates the project cost at $870 million. Upon completion, the pipeline will be made available to other customers in the Northwest, including Washington and Oregon. The company also stated it expects the pipeline to generate over $10 million in property taxes, per year across Washington. The Federal Energy Regulatory Commission (FERC) received the application request in June. FERC officials have announced the plan will be reviewed in tandem with the Oregon LNG pipeline plans. The proposed pipeline expansion holds a great deal of promise for all involved. The Astoria LNG terminal is poised to service rapidly expanding markets in Asia. Northwest Williams Pipeline will help bring a great deal of economic benefit to Washington. At the same time, the project is highly complex by joining multiple existing pipeline sections. Natural gas pipeline safety and pipe protection are large concerns. The company is making a large investment that will require expert cathodic protection to secure continued profit. 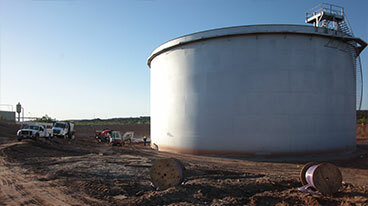 Technology such as linear SPL anodes could make a huge impact for Northwest Williams Pipeline. 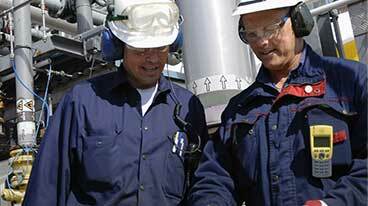 MATCOR is a leading provider of ISO 9001:2008-certified cathodic protection management. Our cathodic protection installation team offers turnkey project management for many corrosion engineering services, including AC Mitigation. MATCOR’s cathodic protection equipment is backed by an unmatched 10 year guarantee. Pipeline corrosion management and cathodic protection systems will be on the radar screen for Algonquin Gas Transmission. Due to rapid growth in natural gas demand, the major pipeline is proposing expansion and replacement in the Northeast. This pipeline activity will be followed closely with cathodic protection systems, specifically MMO linear anodes and additional asset protection. The project spans across Connecticut, Massachusetts, Rhode Island and New York. Specifically, a 9 mile stretch near Norwich will be replaced with a larger capacity pipeline. The current pipeline begins in the northern part of New London County and continues southeast to the Rhode Island border. Algonquin Gas Transmission is also laying a new 2.4-mile section of pipeline to connect two sections near Montville, CT west of the Thames River. The company is adding three pipeline sections throughout Connecticut. The new pipeline will connect existing lines across the state near Kensington, Oxford and Chaplin. This includes a brand new 9.1-mile stretch between Willimantic and Greeneville. Documents for the project were submitted to the Federal Energy Regulatory Commission (FERC) in mid-June. FERC approved the filing on June 27. The approval is a step forward for Algonquin Gas Transmission. Upon approval, a FERC review of the project begins before the formal application is submitted. This process helps to proactively identify and correct any potential issues in the project. The completed pipeline project allows Algonquin Gas Transmission to dramatically increase its service in the Northeast. A number of gas service companies will be affected. They include Yankee Gas, NSTAR Gas Co., Connecticut Natural Gas and Southern Connecticut Gas. The pipeline project references the new Comprehensive Energy Strategy advocated by Connecticut lawmakers. The strategy calls to expand Connecticut natural gas pipelines to accommodate almost half a million additional customers. The project impacts just fewer than 500 landowners. Algonquin has already reached out to the land owners, according to filed documents. Algonquin anticipates conducting property field surveys in September 2013. The company will be hosting informational meetings throughout the summer for landowners. Documents on the pipeline indicate dozens of federal, state and local officials have been contacted about the pipeline’s environmental impact and protection measures. The Algonquin Gas Transmission pipeline is needed for Connecticut and the Northeastern region. The project is quite complex and requires expert coordination in all facets. Harsh weather conditions make Pipeline Corrosion a concern for this pipeline. Technology such as MATCOR’s SPL linear anodes will manage the Cathodic Protection needs for Algonquin Gas Transmission.